Must be able to read, write, and speak English fluently. Must be able to read and write at the 11th grade level and do math at the 8th grade level. Must also have access to a computer with internet access. 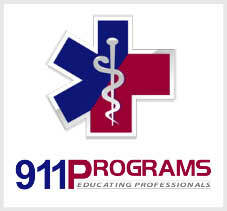 Must be licensed as an EMT (in any state) or certified as an EMT to take this course. $1500 includes books, class shirt, CPR, lab fees and new job readiness training. Additional Expense: Professional Liability Insurance approx.($20). Upon acceptance into the program please submit your deposit of $100 plus a NON-REFUNDABLE $50 application fee to 911Programs at 175 Metro Center Blvd, Warwick RI 02886. Deposit of $100 refundable up until 2 weeks before the program start date. There is no deposit refund for students who withdraw within 2 weeks of the program start date because a seat was reserved on your behalf that could have otherwise been filled. If you are interested in Advanced EMT and are either unable to attend any of the current courses or there are none scheduled at this time, add your name to the waiting list.